Inman is interviewing real estate professionals in every area of the field to talk about technology use. Here’s Kirk Short, a broker/owner at Re/Max Realty Professionals in Wichita, Kansas. I use an Android Galaxy S5. It has a large screen, which means I can get work done on the go, and it’s water resistant, which is a huge plus. It also has a nice built-in camera that I can use for work if I need to. We usually use professional photographers, but it’s nice to have a good quality camera in a pinch. Lookout, a mobile security app that I use to track my phone if I’ve misplaced it (that happens quite a bit; just ask my wife), Call Confirm, which keeps me from dialing clients by mistake, and PYKL3, a weather radar app. When I’m in the office, I’m using my desktop computer, but when I’m on the go, I’m always connected via my smartphone. So I’d say my digital time breaks down pretty close to 50/50. I spend a lot of time out in the field and running around the office, so I’m probably using mobile to get things done about half of the time. Describe your job. What do you do every day? How does technology support (or not support) your daily job description. 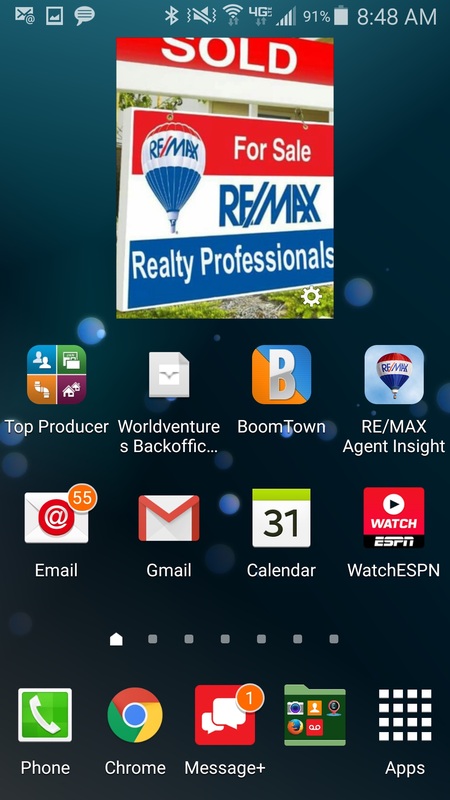 I run two RE/MAX offices in Wichita, Kansas. That’s a total of 30 agents. My main priority is making sure my agents are well equipped to get their job done. And that’s where technology plays a huge role. We use dotloop, which allows me to communicate with my agents, stay up-to-date on their deals and rest assured that they have the tools they need to keep clients happy. It also gives me visibility into the transaction taking place, which means I can make more educated decisions. I’ve grown up around real estate. My dad was in the business since I can remember. Because of that, I’ve taken on pretty much every role there is in real estate. I’ve worked as a buyer, as an independent agent, as a broker. I was working in real estate before CRM and transaction management solutions were available. But now that we have access to things like smartphones and laptops, transaction management solutions and cloud storage, I can’t imagine real estate without it. I definitely identify as an early adopter of technology. My foray into technology began in 2004, when I started working with investors on the west coast. There’s a lot of paperwork in real estate. Everyone in the industry knows what I’m talking about. So I implemented my first transaction management solution six or seven years ago. It’s nothing like we have today. It didn’t have an e-signature feature, and the platform wasn’t as sophisticated, but it was a step in the right direction. I’ve always made technology a priority and continue to do so. I have a few remote agents (one living all the way in Washington), and that means I don’t get the face-to-face time with them that I typically have with those working in my two offices. Figuring out how to stay connected has been a challenge, but with our transaction management solution and a new voice-over phone system, we’ve managed to make it work. We face a similar challenge with our clients. Wichita is a relocation town. We have people coming from all over the country. But technology has allowed us to work with clients from across the country, as if they were living next door. Having a well designed platform to do deals online makes all the difference. Right now, a major challenge facing the real estate industry is finding a way to work better with each other, our clients and service providers. As the millennials become first time homebuyers, finding a way to work in teams is more important than ever. Traditionally, real estate has been a one-woman or one-man show. One agent working closely with his or her clients. But that’s all changing. The next generation of homeowners expects us to work in teams. That said, technology will be able to address our needs. Solutions that allow agents to collaborate with each other and service providers in their area will become increasingly more important. Having all of the professionals needed to purchase a home working on one platform can provide this new generation of home buyers with the seamless experience they’re looking for. Technology has and continues to change the face of real estate. And these changes are for the better. Technology gives agents the tools they need to better serve clients, get deals done faster and work more efficiently. Technology makes communication and collaboration easier, which is huge for real estate. Remember when everything was stored in file cabinets and agents had to run back to the office for paperwork or to look up client contact info? We’ve come a long way, and things are only getting better. Do you use digital documents; if so, which platform? Why? My brokerage uses dotloop as our all-in-one transaction management solution. I selected dotloop for my agents and myself because it’s one easy-to-use platform that meets multiple needs. It’s not just a digital documents solution, or an e-signature platform. It’s a collaboration platform for my agents, a place to store all of our documents and an easy solution for communicating with clients and signing deals. Facebook. I use the mobile app and the website when I’m on my desktop. It’s a good way for me to network with agents and clients, share property information and get to know the community I’m working with. Storm chasing, although I will admit, sometimes I use the PYKL3 app to help navigate. But it’s a mostly “unplugged” activity that my wife and I have been doing since about 2005. We’ve even done some traveling for it. We both like storms, so it’s a fun thing for us to do together. During our best year, we saw 26 tornados.